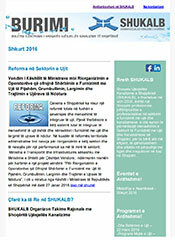 During January, SHUKALB held several meetings with some of its water utility members in Albania. The purpose of these meetings was to present SHUKALB’s activities planned for year 2019, with a focus on training courses and capacity development programs, as well as to get a direct feedback from utilities on their specific needs in terms of capacity development. SHUKALB was represented in these meetings by Ms. Elisabeta Poçi, Deputy Executive Director, Ms. Olta Ceca, Manager of Programs, Ms. Arbana Kola, Manager of Training and Professional Development, and Mr. Alban Kushi, Manager of Member Services. The first meeting was held on 30 January 2019, in Shkodra, with the Director of Shkodra Water Supply and Sewerage Company (Shkodra WSSC), Mr. Mark Molla, assisted by Ms. Valbona Paja, Responsible for Planning and Reporting; Ms. Mbaresa Ferracaku, Responsible of Technical Department and Ms. Klodiana Gajtani, Responsible for Legal Office. The second meeting was held on the same day in Lezha, where the staff of SHUKALB was welcomed by Ing. Meeting organized at the premises of Lezha WSSC, with Director Zef Maci, 3rd from left. Zef Maci, Director of Lezha Water Supply and Sewerage Company (Lezha WSSC) and Ms. Bora Kolbucaj, the Head of Finance Department. Both Director Molla and Director Maci, who are also Board Members of SHUKALB, showed their appreciation on SHUKALB activities and achievements, and stressed their willingness for further involvement at the planned capacity programs. SHUKALB staff after the meeting in Berat with Director Pelivan Sinaj (1st from right) and Eni Muho, Commercial Director, Berat-Kucova WSSC (4th from right). Commercial Director. 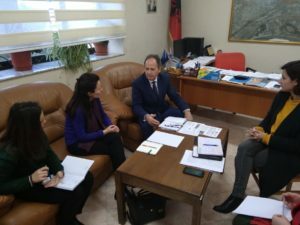 Although new in his position, Director Sinaj, had a wide working experience in the public sector, and was well informed on the issues of the water sector in Albania and in particular of Berat and Kucova regions. He showed his commitment and willingness toward future collaboration with SHUKALB. 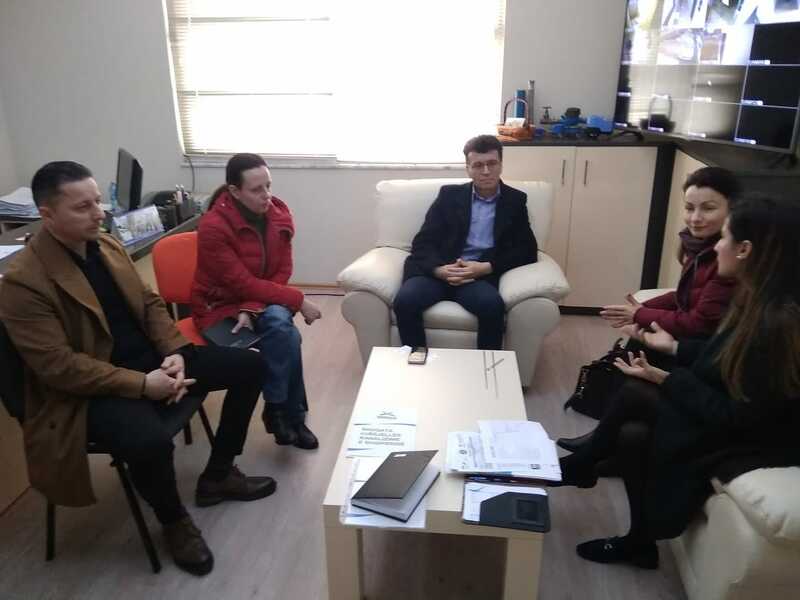 The 4th meeting was conducted on 1 February, at the premises of Elbasan Water Supply and Sewerage Company (Elbasan WSSC), where the staff of SHUKALB was received by the newly appointed Director, Mr. Luan Dervishi, and Deputy Director, Mr. Armando Cakaj. Both Director Dervishi and Mr. Cakaj, were much aware of the water sector’s issues and highly appreciated SHUKALB’s capacity building efforts in the sector. 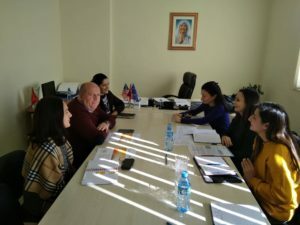 Meeting organized in Elbasan with Luan Dervishi, Director of Elbasan WSSC (3rd from left) and Armando Cakaj, Deputy Director of Elbasan WSSC (1st from left). All these meetings resulted very fruitful as it helped SHUKALB to get better informed regarding utilities needs on capacity development. On the other hand utilities received direct information on SHUKALB’s activities and the possibilities for their engagement in these activities. SHUKALB would like to thank each of the water supply and sewerage companies visited for their warm welcome and their commitment for collaboration. SHUKALB will continue to organize other meetings in the country in order to be closer to each of its member utilities, to better understand their needs and concerns. ← Registration to SHUKALB’s Training Courses for 2019 is Now Open!